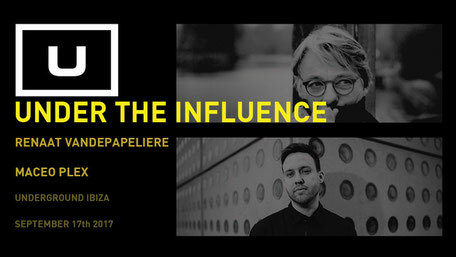 Under The Influence is a new club concept hosted at Underground Ibiza, a venue that set out to retain an authentic approach to Ibizan clubbing and aims to reflect the original philosophy of the island as a place for all to party. Underground is apparently a club that values quality music and an honest, inclusive clubbing experience over the ever-increasing prevalence of VIPs and fast-growing commercialism. It aims to bring together DJs and producers that have had a direct impact and influence over each other’s respective careers. Debuting this new concept is the label boss of R&S Records, Renaat Vandepapeliere. As a label head and DJ, to his A&R skills, Renaat has possibly helped shape modern underground dance music. He is joined by Maceo Plex, a long-term fan of Renaat, considering him and the output of his label as a vital influence on his sound. 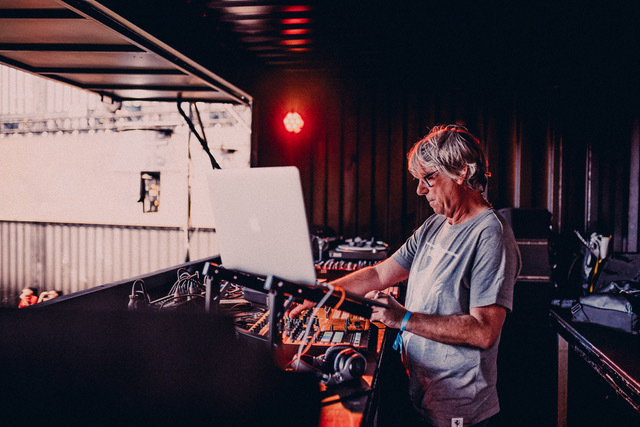 In 1983 Renaat founded R&S Records and by 1995 R&S was apparently the leading underground dance label and authority, introducing Joey Beltram, Derrick May and Aphex Twin to the world and propelling Renaat to the higher echelons of underground dance music in the process. Together, for one event, they come together to showcase the music that has both influenced and shaped the industry they love and respect, all the while taking the crowd through the heritage of the music that has been a part of their respective journeys in dance music.